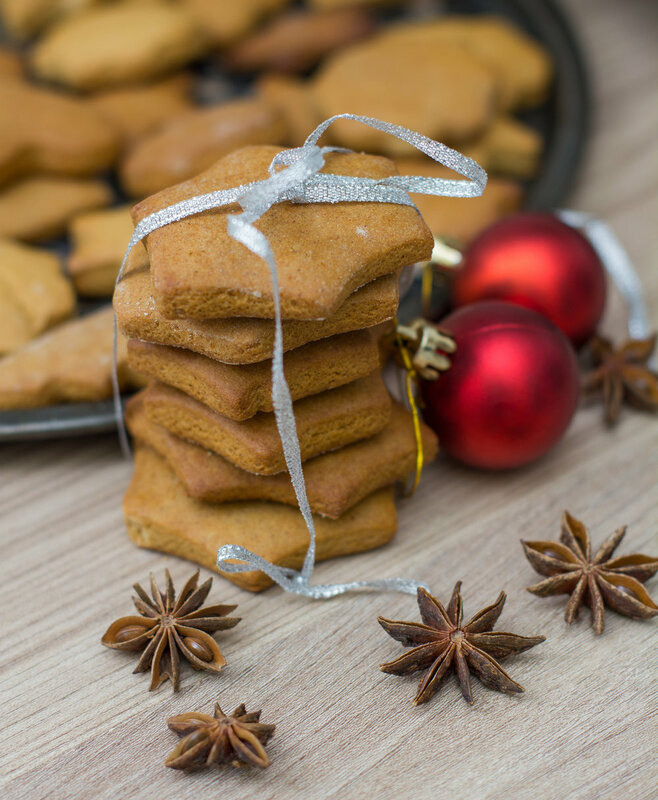 These are a snap-worthy treat any time of year, but they’re especially wonderful during the holidays. I love that they’re full of fresh ginger and iron-rich molasses, and contain no refined sugar or flour—the perfect healthier treat! Recipe from my most recent book, FOOD LOVE. 1. Preheat your oven to 350° F. In a large bowl, combine all of the dry ingredients, stirring very well with a whisk. 2. Whisk the wet ingredients together separately, then add to the dry ingredients. Stir well to combine, either using a large spoon or your hands. 3. When thoroughly combined, form the dough into a large ball and knead it for a few seconds. On a counter top, roll it out (with a rolling pin) until it’s about ¼-inch thick. If needed, sprinkle the counter with a little flour to prevent sticking. Cut into shapes. For the holidays, we usually make gingerbread men. Otherwise, we make small circles, hearts, or stars. 4. On nonstick cookie sheets, place your shapes in a single layer, leaving room in between each other for them to expand a bit. Bake for about ten minutes, or until the undersides are a darker brown. Be careful not to overbake them. Store in an airtight container for up to a week.